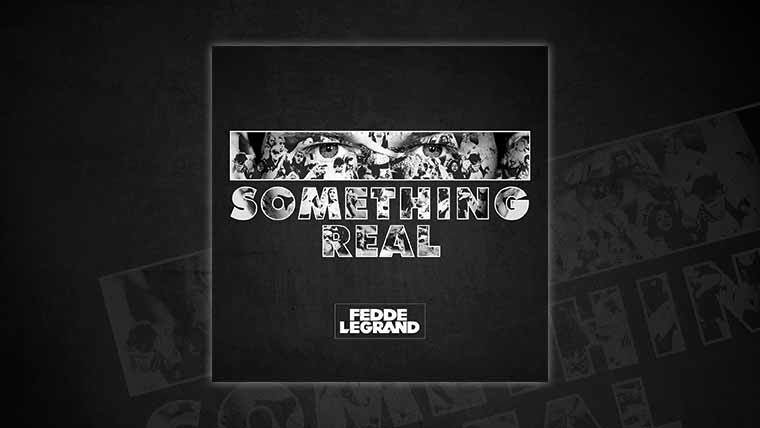 After months of anticipation, and with excitement at fever pitch, Dutch superstar DJ Fedde Le Grand has released his fourteen-track studio album ‘Something Real’, out now via Ultra Music and Darklight Recordings. Few dance albums have experienced the level of hype and buildup that ‘Something Real’ has had over the past year. From Billboard to MTV, Fedde has won the praise and backing from some of the biggest tastemakers in the industry and in doing so, has cemented his reputation as one of the most respected and revered dance producers of the decade. A culmination of over 3 years of production, and spanning an impressive fourteen tracks in total, ‘Something Real’ is a dynamic and multi-faceted piece of work – a rare find in electronic music’s current climate. With ‘Cinematic’, ‘The Noise’, ‘Feel Good’, ‘Keep On Believing’, and ‘Give Me Some’ already creating buzz across the airwaves, fans can now get their hands on another nine sublime cuts from Fedde. Collaborations with Cobra Effect, Jared Lee, Jonathan Mendelsohn, Erene, Espa, and Grammy winner MoZella – whose co-writes include One Direction’s ‘Perfect’ and Miley Cyrus’ #1 hit ‘Wrecking Ball’ – exemplifies Fedde’s dedication to create something completely original and to deviate from the norm. Resulting in a diverse collection of sounds and styles rarely found in most dance albums, ‘Something Real’ manages to set itself apart as a unique body of work. Ensuring that each track has its own distinct flavor, from gorgeous vocally compelling numbers like "Beauty From The Ashes", to the Espa assisted, chord driven "Pity Love", and weaving between 80's funk riffs in ‘Give Me Some’ and bouncy house melodies in ‘Feel Good’, Fedde manages to effortlessly touch on numerous genres whilst still maintaining his signature sound. A particular highlight of the LP comes with Fedde’s cover of Corona’s timeless classic ‘Rhythm Of The Night’. The first time this iconic vocal has been cleared for use, the track bears all the necessary hallmarks of a summer smash hit. With talk of a club edit arriving soon, be sure to keep an ear out for what undoubtedly will be a main-stage monster of a record.